August 10, 2016 - John Saunders, well known ESPN personality for 30 years, passed away today at the age of 61. ASA member and ESPN anchor Hannah Storm had to break the unfortunate news this morning on SportsCenter live from the Olympics in Rio. "I have some shocking and sad news to report to you," said a visibly emotional Storm. 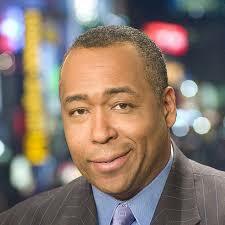 Our generous and talented and beloved colleague John Saunders has died." A native of Canada, Saunders was an all-star defenseman in the Montreal junior hockey leagues. He also played collegiately at Western Michigan University and Ryerson Polytechnical in Toronto. Saunders began his career in 1978 as a sports anchor for CKNY-TV in Ontario. He joined Baltimore's WMAR-TV in 1982 where he anchored three sports reports daily. He began his 30 year association with ESPN as a SportsCenter anchor in 1986. Saunders handled a variety of different assignments for ESPN and parent company ABC. He was a studio host and play-by-play announcer for college football and basketball, as well as MLB, NHL and the WNBA. For the last 15 years he also hosted the Sunday morning roundtable discussion, "The Sports Reporters." As a colleague and close friend of the late Jim Valvano, Saunders was a founding member of The V Foundation for cancer research and served on its Board of Directors. He was also an active mentor to young and aspiring journalists, having spoken at the National Association of Black Journalists (NABJ) convention in Washington, D.C., just last week.